LOW EARTH ORBIT—Inadvertently observing the gruesome act through its near-infrared camera, the Hubble Space Telescope reportedly struggled to reach NASA on Tuesday after witnessing what appeared to be a murder on Jupiter’s largest moon, Ganymede. 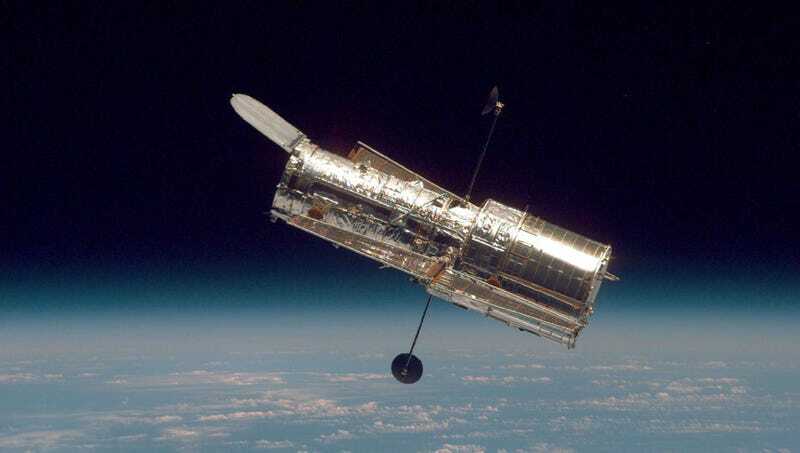 Frightened and unable to leave the confinement of its geostationary orbit 390.4 million miles away, Hubble repeatedly tried to contact mission managers at the agency’s Goddard Space Flight Center, but was told they had seen nothing out of the ordinary. Straining against Earth’s gravitational pull to get a better look, Hubble then reportedly trained its 7.9-foot mirror onto the murderer, frantically panning from Ganymede’s north to south pole in an attempt to glean what had happened to the victim’s body. At press time, the suspect had suddenly looked directly into Hubble’s multi-object spectrometer, sending the telescope scrambling to hide behind Earth.